Tai-lok Lui is Professor of Sociology at The University of Hong Kong. He is the co-author of City-States in the Global Economy (Westview, 1997), Hong Kong, China: Learning to Belong to a Nation (Routledge, 2008), and Hong Kong: Becoming a Chinese Global City (Routledge, 2009). One of his recent books is The 1970s that We Don’t Really Know (Joint Publications, 2012; in Chinese). The governorship of Lord Murray MacLehose (1971-1982) was always fondly remembered as a period of benign colonial rule, an era of progressive reforms (particularly the establishment of the Independent Commission Against Corruption), and a decade when the local Chinese community in Hong Kong espoused a new identity and developed a sense of belonging that was not found in the earlier decades. The tenure of his governorship was the longest among all governors since 1842. The so-called ‘MacLehose era’ has been seen as a turning point in the contemporary history of Hong Kong, marking the birth of an affluent society, the formation of local culture, and the building of a social system characterized by political stability and economic prosperity. 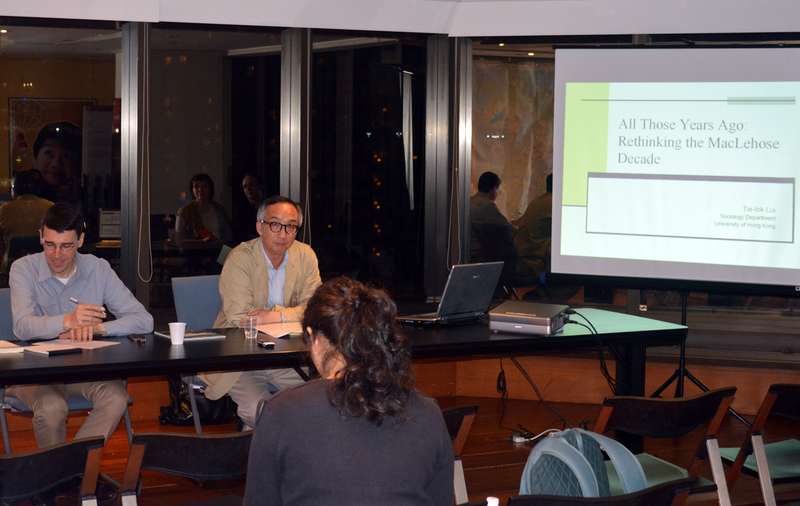 This talk is an attempt to look at Hong Kong society in the 1970s, and the colonial rule under MacLehose, from a different perspective. The speaker calls for a re-examination of the coloniality of Hong Kong. Sebastian Veg, Director of the CEFC, will chair the session. Snacks and drinks will be served after the seminar. Seats are limited. Please confirm your attendance.